Mother’s Day is coming up in just over three weeks! 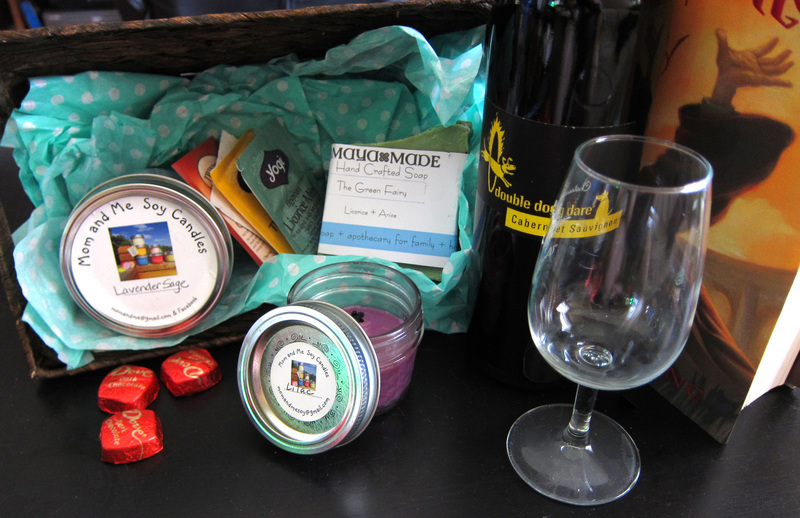 Why not create a relaxing day for mom by creating a gift basket like this one? Pick up your mom’s favorite (or your favorite) Mom and Me Soy Candle at one of our upcoming events, or by ordering on our Etsy page! View our upcoming events and in-store locations, including one THIS WEEKEND, here. If you’re looking for a scent not listed on our Etsy page, or to order our wax tarts, contact us via Facebook, Etsy or here. PS: The soap shown in the basket is handmade by MayaMade, and is AMAZING! Be sure to check out her page and her other products!